Another thing about window masks: you can often get better results with multiple small masks sharing one set of tracking keyframes than you can a single large mask. 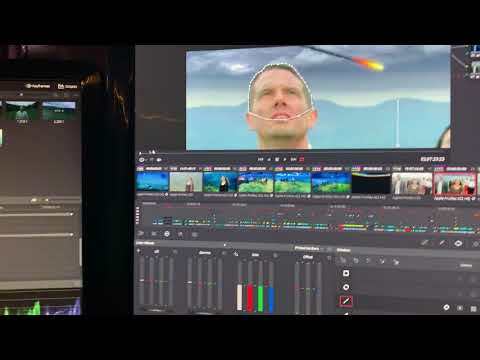 A final suggestion: there are actually affordable VFX artists out there who will analyze footage, create precise external masks, and email them to you at a reasonable fee. Often, their masks are far more precise than anything you can draw by hand as a window. Rotomaker.com and TraceVFX.com are two companies I'd recommend. Blender is a good example for dope sheet and curve editor also, both are very flexible and besides the usual stuff allow some pretty obscure things like literally rotating curve keys and handles around arbitrary point in curve editor. Dope sheet allows changing keyframe diamond colors (sort of keyframe tagging) for separating important keys etc. Lots of nice little features there for inspiration. In Resolve I'd first lose these elongated diamond lines around keys, their sole use seems to be visual overload. Last edited by Hendrik Proosa on Wed Oct 10, 2018 9:29 am, edited 1 time in total. I agree with the OP that the dopesheet could use some fleshing out. I recently had a very hard time with tracking and keyframing. Perhaps it was user error, but in my instance the dopesheet did not show me each and every parameter nor keyframe. It seemed that some keyframes and parameters are tied in with the track path, and others can be set seperatly in the dopesheet. I'd expect when doing a keyframe session and working in the dopesheet, that each and every parameter and keyframe is available in that window.. and not seperated between a dopesheet and a tracking window. Also working with the keyframes in the tracking window is not very user friendly. Thanks for the tips Marc. However I think you missed the point of the problem. 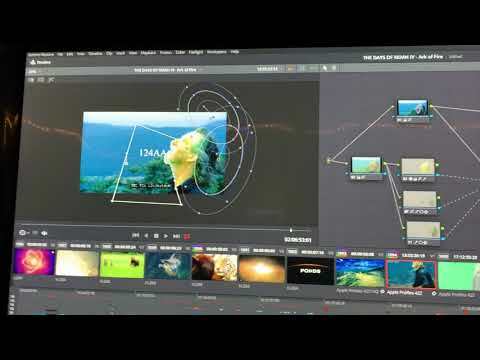 It is not about the accuracy of placing the keyframes, its the accuracy of the placement being recorded by Resolve. They are jumping all over the place. i.e. in the third video I just posted. 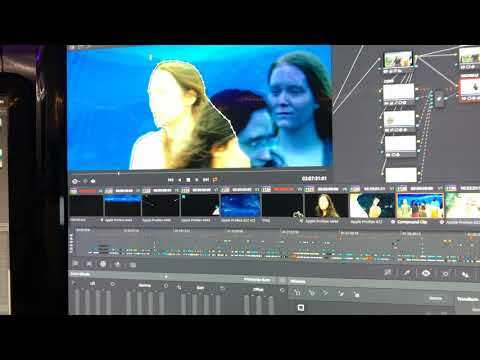 Rotoscoping on Resolve is a nightmare. I'm told use the tracker instead and switch to frame mode, but I'm still struggling to understand the logic. I'm sure others will say use Fusion, but Fusion is a compositing tool, and doing simple roto is part of modern day colour grading. One should be able to add simple keyframes to windows and have the system interpolate correctly without quirks or glitches. I've encountered the EXACT same issue today as in your video above Michael. It is not acceptable for a DI system in this day and age to have such fundamental keyframing issues. I strongly believe the keyframing logic, both how it is presented in the UI and the fundamentals have to be rethought. Just the idea that you cannot set (or toggle) a keyframe in a sizing window (next to say zoom, tilt, pan), or say in the 'Defocus' section (a name which comes from the old 2K plus days and has no relevance anymore) for node opacity. Same can be done for colour tools, add a little icon next to saturation or offset so if you click it, it will add a keyframe just for that element. If there are 2 keyframes for the same element, have a simple linear interpolation. If the user then wants to change the animation curve to bezier or something else, they can do so via the graph. Also, if you are working in dual display mode and your monitors are wide apart, it is very tiresome to have to move from one display to another since the keyframe viewer is on one display whereas the viewer is on another one. A customizable UI would help of course, but an option to have the keyframe editor to be underneath the viewer should be an option. Using the tracker in Frame mode does a much better job, but if you attempt to track the window it will give you unpredictable jittery results. For usable results perform manual adjustments to the window when necessary. If you need to adjust a setting globally, like softness, switch back to Clip mode first. It can be kind of a pain having to switch back and forth between palettes and modes repeatedly, but that should give you the results you need. Also if you create a lot of keyframes with the keyframe palette the project size can ballon pretty quickly. When I have to keyframe a mask, I track it in first using keyframes (if the camera tracker doesnt work). Then the problem I run into after its locked in, is that I need to adjust the softness settings. And unfortunately, I have to do this for every single keyframe. Madness! Then when I get the softness of the border dialed in (for every keyframe), and I want to adjust the gain output or any other setting, I have to do it, for every single keyframe. More madness! Maybe the best way to do this is to get the shape, softness and opacity all dialed in first, then turn on keyframing and animate the position? That way, the softness and other settings dont need to be set for every single frame? Spencer_Meyer wrote: Using the tracker in Frame mode does a much better job, but if you attempt to track the window it will give you unpredictable jittery results. For usable results perform manual adjustments to the window when necessary. If you need to adjust a setting globally, like softness, switch back to Clip mode first. It can be kind of a pain having to switch back and forth between palettes and modes repeatedly, but that should give you the results you need. Also if you create a lot of keyframes with the keyframe palette the project size can ballon pretty quickly. Yep, Spencer gets it -- very well said. This is my experience as well. Often, you have to have a specific philosophy in mind on how to get the tracking done, and there's a degree of thought and experimentation involved. Note that there are dedicated buttons for Clip Mode and Frame Mode on several hardware panels, and you can also use a 3rd-party macro keyboard (like XKeys or the Elgato Streamdeck) to bring up these modes. A lot of what I think the o.p. is complaining about is that it's annoying to do all this stuff is a mouse -- and I agree with him. 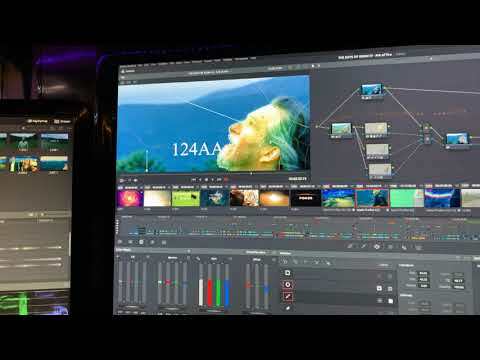 If you're going to be using Resolve 10-12 hours a day, get a professional control surface. Affordable ones are out there. My OP has nothing to do with any inaccuracies that come with mouse. I am using a mouse without any problems whatsoever in that regard. The problem, as I said earlier, has to do with Resolve not recording keyframes when it should, recording keyframes when it shouldnt, and have ghost keyframes set that I have absolutely no idea where they came from, which results in the jitters and totally unpredictable movements to which Spencer may be referring, as well as the inability to see or control keyframes for individual parameters such as inside and outside softness for polygon masks, mask size, node gain or any other parameter. Having them all locked to one keyframe is incredibly problematic. So when you guys are talking about "frame mode," are you referring to the "interactive mode" in the tracker panel? I am not sure how to use that panel to keyframe nodes on a frame by frame basis, but even if I did, I dont know it would help me as sometimes I have various masks that need to move differently depending on the movement of the actors in the scene. *sigh* More issues. Polygon mask permanently gone after deleting one or two of its keyframes. The idea that you have to use the tracker module to roto is absurd. You cannot offset or slip a keyframe in frame mode (or at least I couldn't figure out a way) and there is no visual representation other than tightly spaced keyframes in the tiny tracker window. 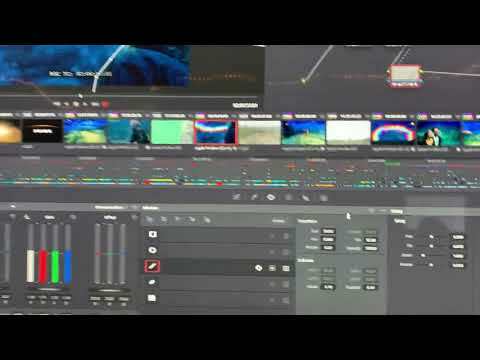 I cannot imagine how someone could grade a 10 minute+ long shot with multiple animated windows and roto without being able to zoom into the tracker window to edit keyframes. I've also encountered issues where a keyframe was added to a 'half frame' in the tracker/frame mode so you were never able to select or delete it. If you went frame by frame, you can literally see the playhead jump over the keyframe. It was always there even if you clicked on clear all track data or keyframes. As you say, it has nothing to do with tablets or mouses, it is the logic that is broken. I've used 3 other non-linear grading systems and all of them had keyframing that simply 'worked'. Before colour grading, I was also an online artist using Flame, so I know how masking should work. The keyframing needs a total overhaul and quite possibly the windowing features too. To not be able to delete a 'default window' is silly. You end up disabling the window and adding a new window, which means that the data from the old/default window remains and is still lurking in the background of your project, leading to a less optimized project file. I would gladly have a v16 with less 'new features' and an optimization of what is currently there. cemoz101 wrote: You're not crazy. Absolutely agree. 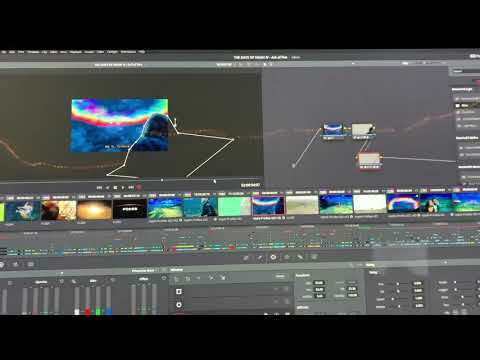 What other NLE systems did you use that "worked?" I have done plenty of projects with upwards of 10-12 tracking masks in some shots, and I've been able to manage. A lot of the method involves kind of a Zen thing where you have to kind of accept the way Resolve works and just wrap your head around it and work with it, not fight it 100% of the time. It's not that hard. I had a shot some weeks ago where I had to work out multiple masks tracking different objects with a window in the background on a shot moving through 3D space and around the lead character, basically lighting the actor up but not lighting the other people. It took time, but the ultimate result was fine... and this was 4 windows in a single node, roughly a 90-second shot. Again, a combination of auto- and hand-roto tracking. I think it was a solid 15-20 minutes of work, but the results were worth it. 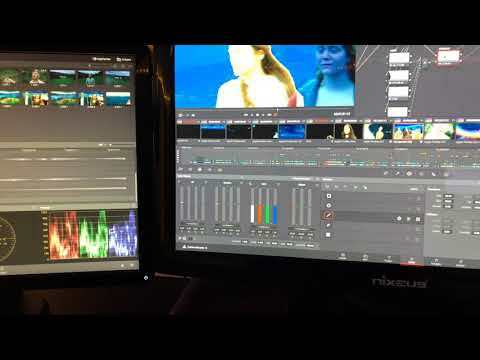 I am using a control panel, so I can just reach over and turn Clip or Frame on as needed, plus it's easy to delete extraneous keyframes without any problem. In animation situations, I tend to work every 2 frames unless it's a very tight mask, and there is a point where I'd rather just send the shot out and get somebody like Rotomaker create an external matte for me. But this is the same in many color-correction programs. Dan Moran over on MixingLight has had some good thoughts on window and masking approaches, and he helped me out several years ago just with the idea of breaking down a large complex window into multiple smaller ones. So a lot of its effectiveness depends on how you tackle the problem, not the limitations within Resolve's tracker itself. Having access to previous/next keyframes and Delete Keyframe on a panel makes it vastly easier than trying to do it all with a mouse, but it all can work to a point. I also lean on the Opacity control to fade in or fade out windows and masks when needed, and that's a good tool (though I know of some people who use the Keyer control for this function instead). 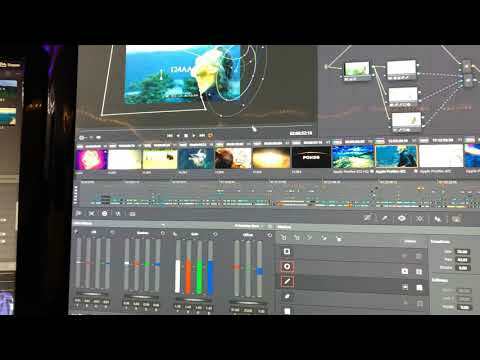 Michael McCaffrey wrote: What other NLE systems did you use that "worked?" my wish is to abandon the keyframe/ shape (or make it "classics") and implement the fusion one: shapes, keyframe, dope sheet, GROUPING, and the ability to import shapes directly from fusion.